When measuring for the Screen Solutions Plisse you will need to take reasonably accurate measurements of your opening. The photo above shows a typical door opening. 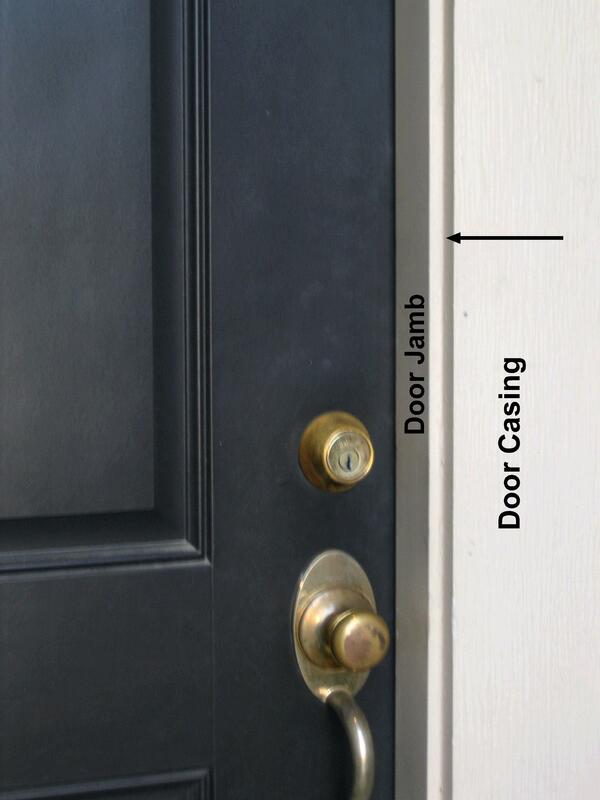 Most often the Plisse screen will mount into the corner between the door jamb and the door casing (also referred to as the exterior door trim) as indicated by the arrow in the above image. Your exterior door trim may look different. Click here for a photo of a door trimmed with brick molding set into a masonry wall. Installations on other types of doors will vary and may require a surface mount adapter. To see a diagram showing the placement of the Plisse Screen on a sliding glass door click here and for a diagram of an atrium style door installation click here. After deciding where in the opening the Plisse screen will mount simply measure the width and height in two* different places as indicated below. *If your opening is over 55 inches wide you will also need to measure the height at the center. Don’t forget, you’ll also need to decide if your installation will require a threshold adapter. View the Screen Guy’s blog post, “Do I Need a Threshold Adapter,” for more help.